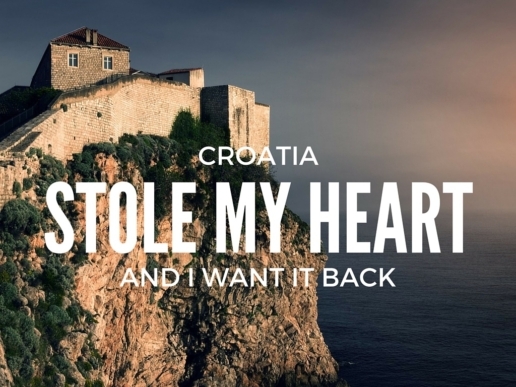 The great joy and challenge of Croatia is the distance you’ll travel from one scenic town to the next. To be honest, I didn’t mind it. Those road trips and ferry rides were some of the most beautiful I’ve ever experienced. 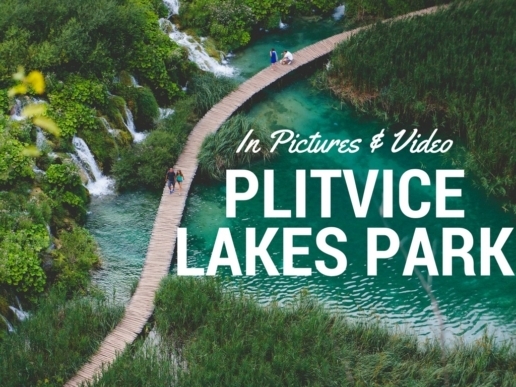 To help you make the most of your time in Croatia, I’ve prepared a 10 day itinerary featuring some of my favorite highlights from my trip here. 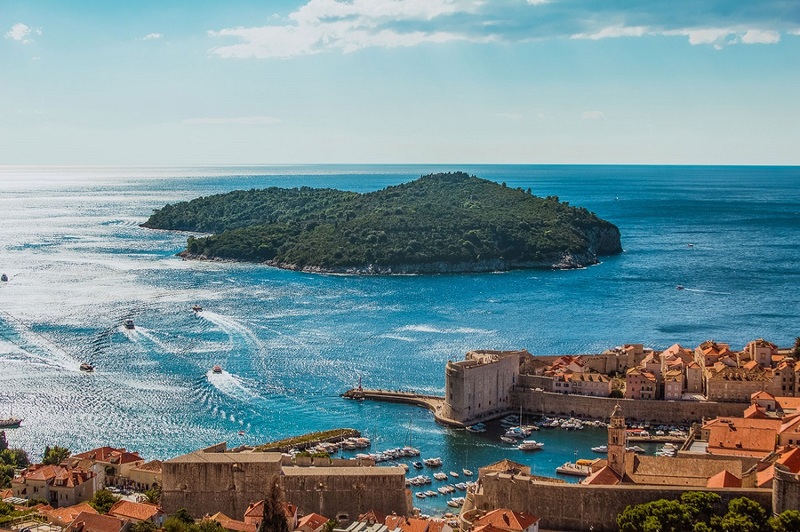 Note: You can use this itinerary as is (starting from Dubrovnik) or flip it in reverse and start from either Zadar or Rovinj and travel downwards towards Dubrovnik. 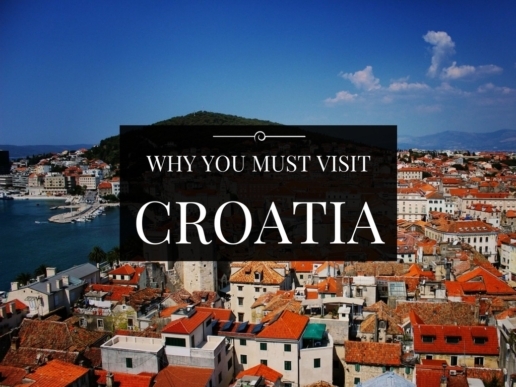 A great place to start your tour of Croatia, is by exploring its insanely beautiful southern Dalmatia region. In my mind, Croatia has the best coastlines and islands in Europe. Many islands aren’t inhabited, some are designated parks and others have thriving industries of wine, olive oil or lavender production. As you traverse these beautiful isles, you’ll come across stunning ancient towns boasting vivid examples of Greek, Roman, Venetian, and Slavic architecture. Best of all, you’ll have access to the freshest seafood you could ever ask for. Trust me, it’s TO-DIE-FOR. 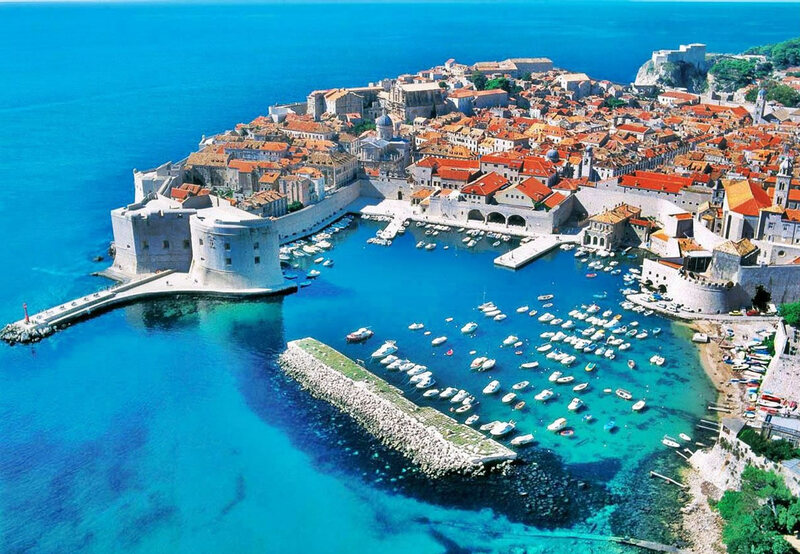 Your entry point to this coastal paradise is the seaport city of Dubrovnik. 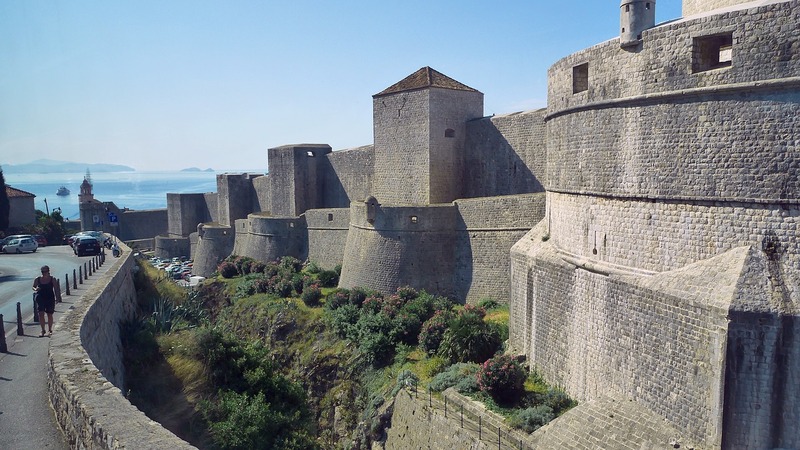 The first thing you’ll see as you approach Dubrovnik from the sky or sea is the city walls. These ancient fortifications were built in the 13th, 14th and 15th centuries, to protect against the Turkish invaders. At some points, the walls are almost 20 feet thick and 82 feet high. For about 50 Kuna (or about $9 USD), you can patrol the walls from 9 a.m. to 5 p.m. and until 7 p.m. in the summer. 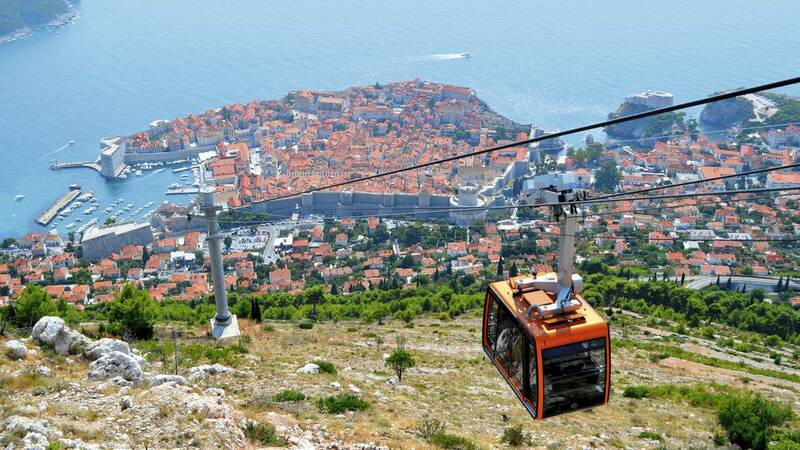 On a clear day, you’ll get best views of Dubrovnik and the surrounding area from the top of the Srd Hill. If you’re looking to save a little money on the ride, then buy a one-way ticket (for about 60% of the cost of a round trip). Take the cable car up the mountain and then enjoy the fabulous views as you walk back down at your leisure. A round-trip ticket cost about 73 kuna (or about $14 USD). 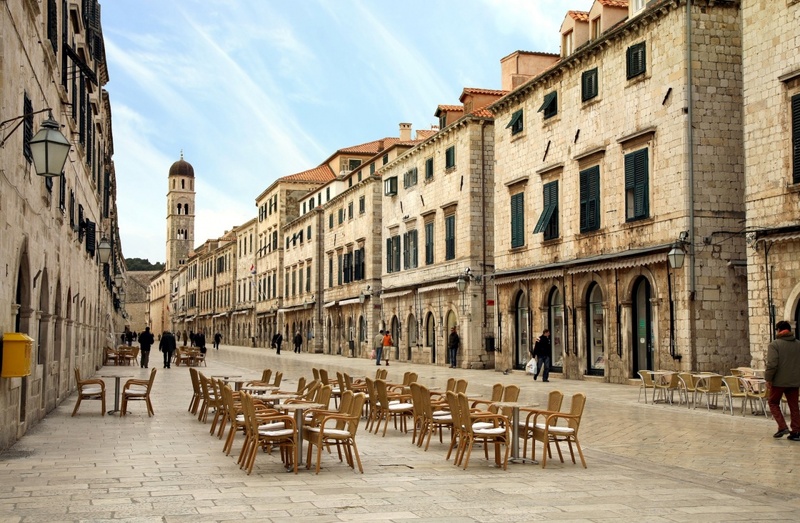 Old Town – Dubrovnik’s old town is pretty and hosts some interesting historic sites including: the Franciscan Monastery, Rector’s Palace and Dubrovnik Cathedral. There’s plenty of shopping opportunities and some fantastic little cafes along with picturesque alleyways. Lokrum – This pine covered island is only 600 meters from Dubrovnik. It has a nice beach, cafes, restaurants, a Benedictine monastery, museums, arboretum, fortress and beautiful nature. The Elafiti Islands – This small group of islands, offers a beautiful escape from the crowds in Dubrovnik. The main islands are Sipan (the largest of the group), Lopud and Kolocep. There’s plenty of tours that run daily to these islands where you can enjoy small villages, beaches and few architectural sights. 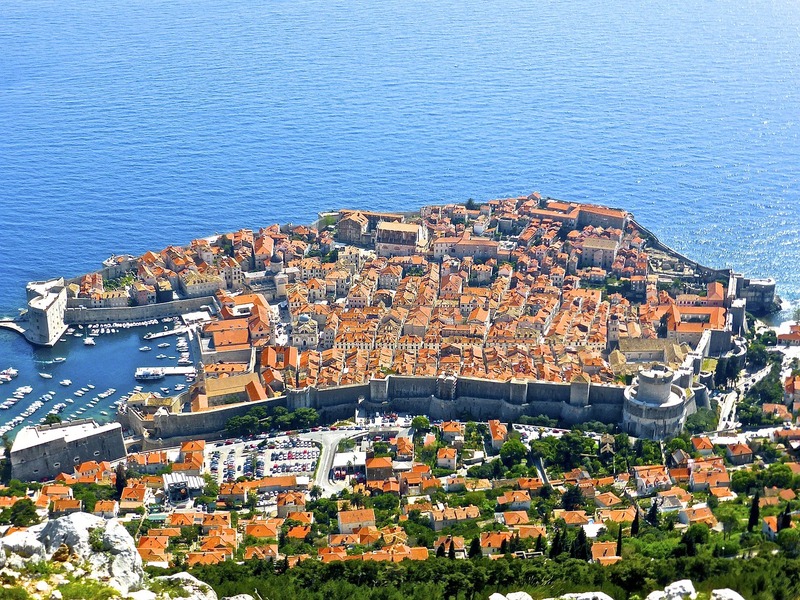 Grab a ferry from Dubrovnik to Bol on Brac Island (tickets should be around 190 Kuna / $25). You’ll also need to arrange for transport from the ferry port to Bol (I think it was about 40 minute drive, but I don’t remember how much the fare was). 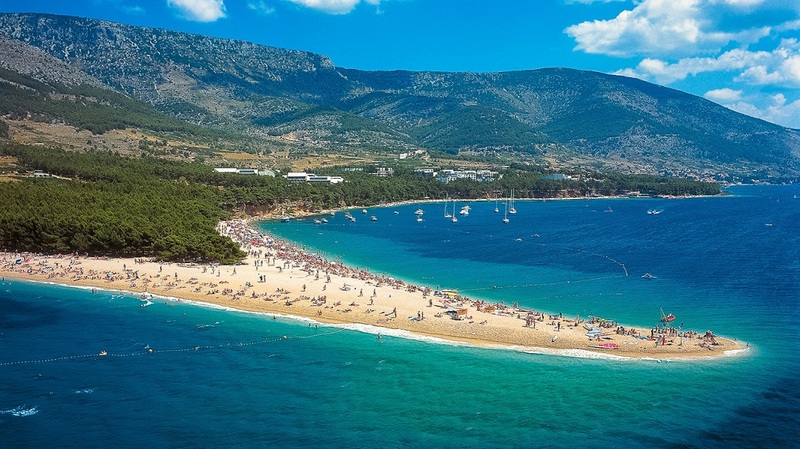 Zlatni Rat Beach – This is probably the most famous beach in all of Croatia. This iconic pebble beach is a great place to lay back and enjoy the sun, sea and do some people watching. Water Activities – There’s lots of activities to choose from including renting kayaks, boats, sailing and diving. There’s also windsurfing schools that teach at affordable prices. Bonus: Check out my video from when we rented a boat for the day. Whenever we found a secluded beach or beautiful spot we’d anchor the boat and jump into the waters to enjoy our own private heaven. 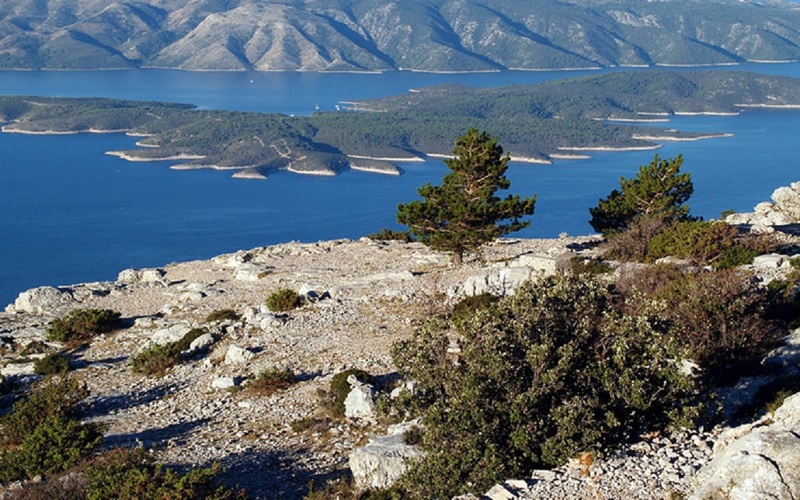 Visit Hvar – When visiting Bol, a daytrip to Hvar is mandatory. This monied seaside resort town has attracted many famous jet-setters including: Prince Harry, Beyonce and Eva Longoria. 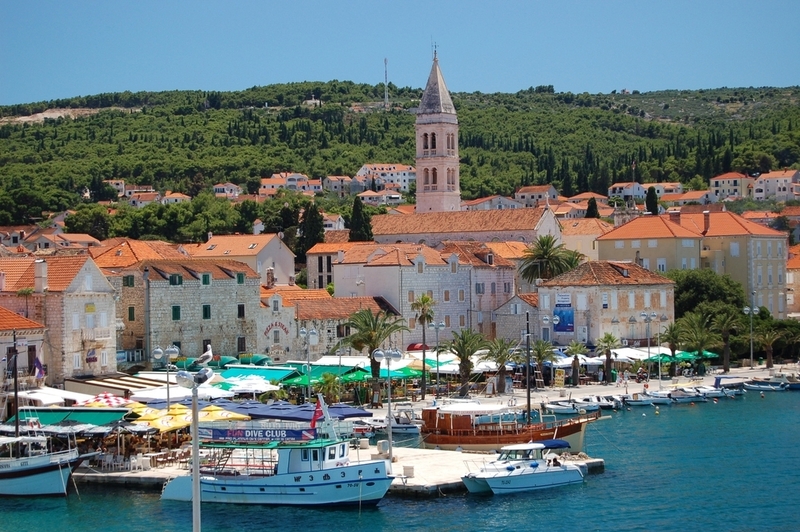 Majestically beautiful, Hvar has gorgeous architecture, hip restaurants and cafes. 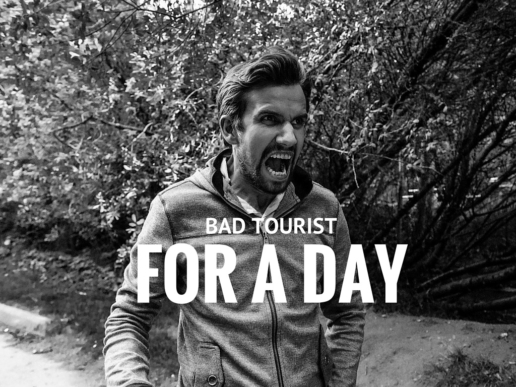 This was easily one of my favorite daytrips in the Dalmatia. Vidova Gora – Head up Vidova Gora to get fantastic views of Zlatni Beach and nearby islands (including Hvar). Be warned this can be a tough hike, so if you’re not in shape then I’d recommend taking a car or bus to the peak.